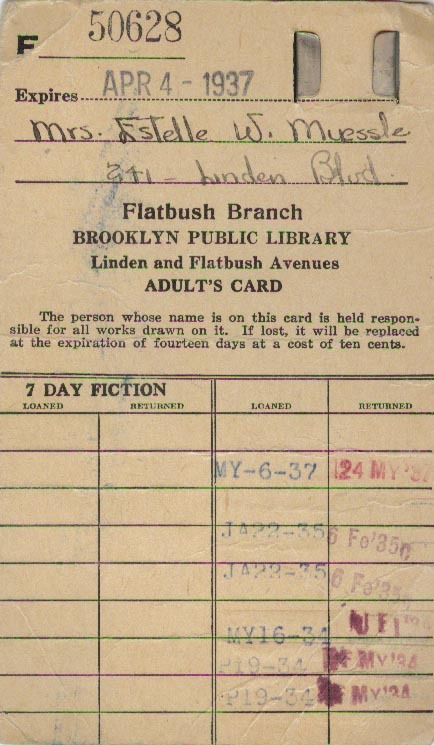 Flatbush Branch, Brooklyn Public Library, Linden and Flatbush Avenues, Adult's Card: Mrs. Estelle W. Muessle, 241 Linden Blvd. Are you looking for MUESSLE ancestors? If so, we suggest posting a query to our Community Message Board to get assistance from other researchers.